Mi dispiace solo per quelli che moriranno e che magari la "suina" non l'avevano, ma delle vittime dovranno pure trovarle! beh sono 40 giorni... se uno lavora o si mette in malattia (.....) o in ferie "forzate".... meglio questo che la prospettiva di crepare, no? 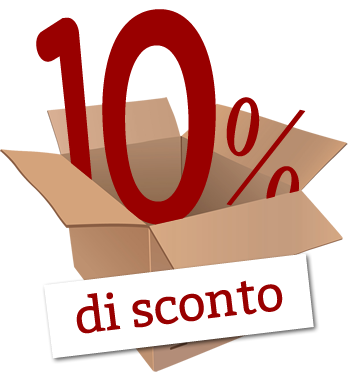 Per il resto..... non ho speso uno stipendio..... mi sono scaricata tutto da internet GRATIS. Per PESTE SUINA, ieri mattina ne parlavo con mio fratello, ed ha la convinzione che sia ancora l'ennesima bufala farmaceutica per vendere vaccini.... prima AIDS, poi AVIARIA, poi......ed ora questa. Si contraddicono di continuo, anche nella stessa notizia prima affermano che è un virus poco aggressivo, non pericoloso, raccontano che i morti lo sono a causa di altre patologie pregresse e infine allarmano con voli controllati, mascherine inutili, vaccinazioni di massa. se fosse come dice l'organizzazione mondiale della sanità ,pandemia ,dovrebbero togliere la licenza alla roche e non mi ricordo l'alta casa ,per produrre a commercializzare l'antivirale TAMIFLU che costa 40 euro a scatola ora. ... i soldi già ce li hanno.... (li stampano, se li prendono e distribuiscono tra loro... e CE li ADDEBITANO con gli interessi annui... .., )..
Markus and Thomas of the Austrian documentary team www.grenz.tv are going to make a documentary on the Baxter incident, and they might come along on Wednesday and film the act of my handing in a new, more comprehensive set of criminal charges at the Vienna State Prosecutor’s Office. The defendants listed in the criminal charges, including the Austrian Health Minister, appear to be members of, or facilitating, an international corporate crime syndicate, and the pattern of these member’s activity across a spectrum of organisations strongly suggests the notion they are working in such a way as to sustain and move forward, in interaction with each other, systematically and deliberately, the crime syndicate’s agenda, specifically, of mass murder by means of the use of an artificial virus, deliberately developed and released, and also a toxic vaccine, offered under false misrepresentation as a prophylactic measure, with the intention of profiting financially and politically from the resulting mass murder in an act that violates laws on organised crime, bioterrorism and treason. 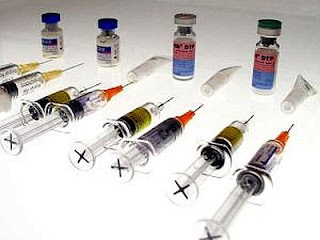 The international corporate crime organisation appears to use a number of agents and organisations to accomplish their goals in Austria, including Baxter’s Austrian subsidiary, specifically, for the development of the technical means to produce a deadly virus and toxic vaccines, as well as for the development of the technical means to make these toxic vaccines available in large enough quantities to inject into hundreds millions of people, using 1,200 bioreactor vats and a cell culture technology in Baxter’s production facilities in Bohumil in the Czech Republic that will allow contaminated vaccine material to be produced on a huge scale. In general, Baxter and WHO scientists appear to have helped isolate viruses, bioengineered them to make the more lethal. Also, Baxter has tested and obtained licences well in advance of the so-called unexpected “pandemic” for the core vaccines for the allegedly “new” swine flu and bird flu. In addtion, Baxter and other companies are planning to include toxic substances such as mercury and adjuvants know to cause damage in spite of Baxter’s own clinical studies testifying that, adjuvants have no beneficial effect. In addition, the international organised crime syndicate made use of Baxter’s high standard biosecurity facilities in Orth an der Donau in Austria to manufacture and release contaminated vaccine material to trigger a global pandemic in January/February of this year. Specifically, Baxter manufactured 72 kilos of vaccine material which was contaminated with live bird flu virus supplied by WHO inside its facilities. It then sent that material to 16 labs in three neighbouring countries, also in Austria, thereby nearly triggering a global pandemic, according to a report by the Times of India. Because Baxter is obliged to adhere to biosecurity level 3 regulations in its facilities in Orth an der Donau when handling the bird flu virus (classified as a biosafety level 3 pathogen under EU Directive), the manufacture and distribution of this material cannot have been accidental and indicates criminal intent. Furthermore, it is not clear why Baxter had the live bird flu virus in its facilities in the first place or how it could have been sent out of the facilities irradiated. Baxter appears to have deliberately and systematically circumvented safety controls in place in order to manufacture and distribute the pandemic material while positioning itself well in advance to profit from any such pandemic by sealing lucrative contracts with the Austrian government to supply vaccines in a pandemic emergency. Furthermore, the international crime syndicate appears to have infiltrated its agents or obtained undue influence over officials in institutions in Austria, who act in a coordinated way to further the crime syndicate’s aims by misusing institutions, systems, management and resources to work for the syndicate’s goals, specifically, government health officials and officials in medical regulatory agencies, who are failing to install or implement adequate checks, investigations or controls. In addition, the crime syndicate appears to have positioned their agents into high government office and to have taken control of key decision making bodies such as the Health Ministry. These agents appear to be acting under the colour of their office to ensure public resources are available for companies like Baxter to produce the “swine flu” and “bird flu” vaccine and also to unblock political opposition to a mass vaccination “swine flu” campaign planned for autumn in Austria. In spite of the ongoing criminal investigation by the police in Austria into Baxter, of which the Health Minister is fully aware as is shown by his own correspondence, the Health Minister has rushed ahead with giving Baxter the contract to provide the “swine flu” vaccines. 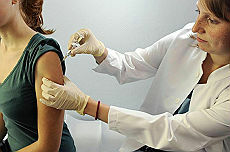 Furthermore, the Health Minister has revealed that the contract Baxter has with the government and the sum it will be paid for supplying every person in Austrian with two doses of this vaccine cannot be scrutinised by the general public, sparking concerns that the Health Minister is misusing his position to facilitate Baxter’s access to significant funds for reasons of personal profit. In addtion, the Health Minister and his officials failed to issue a press release or notify the people of Austria that 72 kilos of vaccine material contaminated with live bird flu virus has been sent out by Baxter’s laboratory or to discuss the incident in the Council of Ministers even though the Health Minister is obliged by the Constitution to act in a way that is transparent. It was only in parliamentary questions that came in May, on the last day of the 8 week period allowed to the Health Minister, that he, however, revealed that 72 kilos of vaccine material had been sent out, a quantity that underscores the seriousness of the crime. Furthermore, the Health Minister falsely claimed there was no to human life even though 18 staff employed by one lab in Vienna that had received the contaminated bird flu material had had to be immediately treated preventatively for bird flu in hospital as soon as BioTest in the Czech Republic issued an alert concerning the material. In addtion, the Health Minister falsely claimed in his parliamentary answers that the correct legal basis for handling the Baxter incident was the vetinary code when the correct legal basis is, in fact, the biosafety regulations as well as bioterrorism laws and the criminal code. The agents of this crime syndicate have also passed an act, specifically the Austrian Influenza Pandemic Plan of 2005, that allows for the forced mass vaccination of the population in the event of a pandemic emergency as well as also for the restriction of movement, quarantine etc. The Austrian Pandemic Pan of 2005 establishes the policies, laws and regulations of the World Health Organisation and the EU as supreme over Austria law during a pandemic and sets the stage for militarizing the management of the country’s health emergencies. The 2005 plan sets up a special crisis committee in the Ministery of Interior that will follow WHO and EU directives, so that WHO controls will be controlling over relevant Austrian statutes or authorities. Austrian law enforcement forces can be used during a domestic emergency involving a pandemic flu and will be answerable ultimately to WHO. The Austrian agents of the syndicate appear to have conspired with WHO to develop and distribute a bioweapon, by helping to fund and licence the creation of dangerous viruses, by putting created diseases in into the public domain to trigger a pandemic. Specifically, WHO supplied Baxter — by a Baxter spokesperson’s own admission — with the live bird flu virus that it then used to contaminate 72 kilos of material, in order to trigger a pandemic, and then use that pandemic as an excuse to issue lucrative contracts for vaccines to companies such as Baxter and without adequate safety controls. Two memos from 1972 prove WHO has been preparing for a long time a 3 step approach to turning vaccines into killers. Members of this international crime gang appear to meet to discuss their plans in secretive establishments, such as freemason lodges, and also at the annual Bilderberg meeting, attended this year in Athens by Chancellor Werner Faymann and the CEO of Novartis, Daniel Vassella, where it appears that tactics and procedures for obtaining their goals for the mass murder of the people of Austria, and in other countries around the world, this autumn under the pretext of offering them a vaccine as a prophylactic measure, which is planned to be toxic. The international crime syndicates appears to have undue influence on the highest State Prosecutor, who has failed to launch an investigation into Baxter and appears to have accepted Baxter’s act of filing charges against itself as a ploy to circumvent an investigation. Furthermore, the President and the Head Constitutional Court appear to be unblocking avenues of illegal activitiy and allow the group to carry out their criminal activities with impunity. It appears that these agents are working for the crime syndicate n return for bribes, kickbacks and offshore bank accounts. Novartis, for example, is reported to have paid a five figure sum for a buffet for the President. Furthermore, there is credible evidence that the leader of the far right party, Heinz Christian Strache, put pressure on his health spokesperson, Dr Dagmar Belakowitsch-Jenewein not to ask in depth parliamentary questions about Baxter’s activities in relation to the contamination of the bird flu. It is on record that Dr Belakowitsch-Jenewein in reckless disregard of her parliamentary duties and although she is a medical doctor and although she was fully aware of the criminal charges and the biosafety regulations, did not initiate a parliamentary or other inquiry into the Baxter incident when the parliamentary answers from the Health Minister revealed that 72 kils of vaccine material had been contaminated by the live bird flu virus by Baxter, sparking questions about whether there are financial or personal links between Baxter and Strache that motivate him to cover up Baxter’s activities. From these facts, it appears Baxter and Novartis and other vaccine companies have formed an oligopoly that operates to maximise their profits together with WHO and their agents in the Austrian government. Baxter and Novartis executives participated in the vaccine advisory group that recommended mandatory vaccines to WHO in July. As a result of the planned, deliberate and coordinated activities of the members of this organisation in Austria, the people of Austria are now in of being forced to take a toxic vaccine with heavy metals, adjuvants and a live whole virus this autumn to treat an influenza virus that appears to have been deliberately developed and released by the very same vaccine companies, and other allied organisations such as WHO. There is a that the public will be given false information deliberately and systematically in order to encourage them to take this dangerous vaccine of their free will. Specifically, the magazine Profil appears to have deliberately, systematically and wilfully misrepresented the Baxter incident and used languages, false sources and images to deceive the public in a report written by Emil Bobi in April 2009. Profil’s founder Oscar Bronner is reported to have attended Bilderberg meetings regularly where he appears to have had person to person discussions with other key figures in the syndicate. Profil and the Health Minister appear to be acting in coordination to control the flow of information reaching the Austrian general public in such a way as to hide the evidence of Baxter’s crimes and to incite fear over the “swine flu” to drive people to take a vaccine that will be dangerous to their health while ignoring other effective measures such as colloidal silver. Furthermore, in a pandemic emergency being declared, the people of Austria will lose their sovereignty and their civic rights and could find themselves being forced to take the injections under WHO instructions. For these allegations, I will present a range of evidence, including documents, letters and emails, building on my first set of charges. EVVIVA ... mauro ...ti sei accorto che stai scrivendo su un forum Italiano ??? Ha inoltre preparato un’ingiunzione contro l’obbligo di vaccinazione, che è stata presentata in America. Queste azioni seguono le accuse che ha lei stessa presentato lo scorso aprile contro la Baxter AG e l’austriaca Avir Green Hills Biotechnology per aver prodotto un vaccino contaminato contro l’influenza aviaria, sostenendo che sia stata un’azione intenzionale per causare una pandemia e trarne profitto. Nelle sue accuse la Burgermeister presenta prove di atti di bioterrorismo, ossia in violazione della legge degli USA, da parte di un gruppo operante all’interno degli USA secondo le direttive di banchieri internazionali che controllano la Federal Reserve, come pure l’OMS, l’ONU e la NATO. Tale bioterrorismo è finalizzato a provocare un genocidio di massa contro la popolazione statunitense mediante l’uso del virus della pandemia influenzale geneticamente ingegnerizzato con l’intento di causare la morte. Questo gruppo si è impossessato di alti uffici governativi negli USA. In modo specifico vengono portate le prove che gli imputati come Barack Obama, presidente degli Stati Uniti, David Tabarro, coordinatore ONU per l’influenza umana e aviaria, Margaret Chan, direttore generale dell’OMS, Kathleen Sibelius, segretario alla salute e ai servizi sociali, Janet Napolitano, segretario del dipartimento di sicurezza nazionale, David de Rotschild, banchiere, David Rockefeller, banchiere, George Soros, banchiere, Werner Faymann, cancelliere austriaco, e Alois Stoger, ministro della sanità austriaco, ed altri fanno parte di questo gruppo criminale internazionale che ha sviluppato, prodotto, accumulato ed utilizzato armi biologiche per eliminare la popolazione degli USA e di altri paesi per motivi economici e politici. Il dossier completo dell’azione del 10 giugno è un documento di 69 pagine che porta le prove per corroborare tutte le accuse. Prove del ruolo del Canada’s National Microbiology Lab nel programma di armi biologiche. Prove del coinvolgimento di scienziati che lavorano per il NIBSC nel Regno Unito [National Institute for Biological Standards and Control]e per il CDC [Center for Disease Control] nella creazione dell’ “influenza suina”. Prove che le vaccinazioni hanno provocato l’influenza letale spagnola del 1918, tra cui il parere del Dott. Jerry Tennant che l’uso diffuso dell’aspirina durante l’inverno che è seguito alla fine della prima guerra mondiale potrebbe essere stato un fattore chiave che avrebbe contribuito all’anticipo della pandemia sopprimendo il sistema immunitario ed abbassando la temperatura corporea, consentendo al virus influenzale di moltiplicarsi. Anche il Tamiflu e il Relenza abbassano la temperatura corporea, e ci si può pertanto aspettare che contribuiscano alla trasmissione della pandemia. Prove della manipolazione del contesto legale per consentire il genocidio con impunità. I media tengono gli Americani all'oscuro sulla minaccia che incombe su di loro. interessante tutto, però se fossero in italiano, la lettura sarebbe più veloce e meno difficoltosa , quanto meno per me che ho solo qualche reminescenza scolastica di inglese..
NB: il precedente articolo sulla "pandemia suina" e le vaccinazioni (obbligatorie?) è stato appena aggiornato con un lungo addenum finale; appena possibile lo aggiornerò ulteriormente. Perchè questo virus è meno pericoloso dell’influenza stagionale, quindi il rapporto benefici-costi è decisamente svantaggioso per lo Stato e quindi per noi. Perchè accettando la vaccinazione faremo capire alle aziende farmaceutiche che possono costringerci a fare quello che vogliono e quindi ci troveremo di fronte ad altre vaccinazioni di dubbia utilità che potrebbero, in seguito, diventare obbligatorie. Perchè i soldi spesi per l’acquisto dei vaccini sarebbero più utili per migliorare nostra sanità ed innalzarne il livello qualitativo. Per fare capire allo Stato ed alle aziende farmaceutiche che non siamo passivi consumatori ma che siamo in grado di pensare. Per il futuro dei nostri figli e dei giovani. Articolo 32 della Costituzione della Repubblica Italiana: “La Repubblica tutela la salute come fondamentale diritto dell’individuo e interesse della collettività, e garantisce cure gratuite agli indigenti. Nessuno può essere obbligato a un determinato trattamento sanitario se non per disposizione di legge. La legge non può in nessun caso violare i limiti imposti dal rispetto della persona umana”. Costituzione art. 32: "Nessuno può essere obbligato ad un determinato trattamento sanitario se non per disposizioni di legge". Inoltre, il consenso informato dinanzi alla proposta di trattamento sanitario costituisce un fattore ineludibile. Un’eventuale vaccinazione di massa obbligatoria, nel caso dell’influenza suina, è un abuso. Non c’è un’epidemia di peste nera ma si tratta di una blanda influenza. Se il virus mutasse è molto probabile che l’attuale vaccino in produzione sia scarsamente efficace. Codice deontologico dei medici Art. 42: "Il medico non può intraprendere alcuna attività diagnostica e terapeutica senza il valido consenso del paziente, che, se sostanzialmente implicito nel rapporto di fiducia, deve essere invece consapevole ed esplicito allorché l’atto medico comporti rischio o permanente diminuzione della integrità fisica". # Gli accertamenti ed i trattamenti sanitari obbligatori (ASO e TSO). "Nessuno può essere obbligato a un determinato trattamento sanitario se non per disposizione di legge"
* Resosi quindi necessaria l’azione preventiva si impone la vaccinazione obbligatoria a tutti i cittadini. In questo caso è nostro dovere denunciare lo Stato e chi ci obbligherà a vaccinarci, utilizzando qualsiasi risorsa legale per difenderci e, non ultima, la risorsa della class-action. In questo link troverete alcuni consigli per difendervi da eventuali vaccinazioni coatte. Come vi sarete resi conto la grottesca farsa della pseudo-pandemia va avanti con sortite che rasenterebbero il comico se non fosse che la gente sembra abboccare all'amo: sia in Gran Bretagna che in Italia si paventa (e poi si smentisce) il rinvio dell'inizio delle lezioni scolastiche con la scusa ufficiale che bisognerebbe evitare che la cosiddetta "influenza suina" si diffonda. Bene, ottima trovata, e allora che ne dite di chiudere gli stadi? ... ah no, quelli no, gli stadi non si toccano vero? Eppure c'è molta più gente radunata in uno stadio che in una scuola. E che ne dite di proibire i concerti? ... ah no, quello non si fa, eppure si può radunare molta più gente (e molto più accalcata) ad un concerto di quanto non succeda in una scuola. E’ cruciale comprendere che questi vaccini sono sperimentali, non collaudati, tossici ed estremamente pericolosi per il sistema immunitario umano. Contengono coadiuvanti a base di squalene che provocano un gran numero di malattie del sistema immunitario fastidiose e potenzialmente fatali. Devono essere evitati, anche se ordinati. E’ anche noto che i vaccini non proteggono contro le malattie che sono destinati a prevenire e spesso le causano. Bisogna spaventare ben bene le persone perchè si vaccinino spontaneamente, così si riuscirà ad inoculare tutte quelle 48 milioni di dosi di vaccino acquistate dal nostro governo. Si prevede infatti di vaccinare entro l'anno 8,6 milioni di italiani fra "soggetti a rischio" e lavoratori della Sanità e di altri servizi pubblici essenziali. Ma si sta considerando di vaccinare contro la nuova influenza a partire dal gennaio 2010 anche la fascia di popolazione tra i 2 e i 27 anni ovvero 15, 4 milioni di persone. Questo è quanto ha affermato ha detto il ministro per il Welfare Sacconi, responsabile di tale "benefico" progetto. E se per caso la gente non acconsentisse a vaccinarsi potrebbe esserci anche in progetto qualcosa di peggio, ovvero la dichiarazione di uno stato di emergenza (forse anche a livello internazionale) con conseguente vaccinazione di massa forzata. Abbiamo già parlato di simili progetti e del fatto che alcune nazioni stiano approvando di recente delle leggi che permetterebbero tutto questo, così come abbiamo riportato le dichiarazioni al proposito di Jacques Attali, politico francese di primo piano, che confessa candidamente un simile piano da parte delle élite governative globali. - iniettare col vaccino una versione avanzata e ultra-miniaturizzata di microchip che potrebbe essere utilizzato per fini di controllo mentale; in tal caso i microchip sarebbero pilotati da particolari emissioni elettromagnetiche. Certo, fra gli scopi di una vaccinazione di massa si potrebbe aggiungere quello di garantire lauti profitti lauti profitti alle multinazionali farmaceutiche che producono non solo i vaccini ma anche i farmaci che vengono utilizzati per contrastare i dannosi effetti collaterali (a breve e lungo termine) dei vaccini stessi. Ma considerando l'enorme budget impiegato per finanziare l'operazione di irrorazione chimica sui nostri cieli, e considerando il fatto che dei lauti profitti si potrebbero ricavare anche vendendo prodotti salutari e naturali che rafforzano il sistema immunitario, bisogna pensare che i profitti delle aziende farmaceutiche non siano lo scopo principale di questo progetto di vaccinazione di massa, ma piuttosto un mezzo per cooptare con maggiore facilità tali aziende nella realizzazione del piano. E non chiedetevi quale interesse potrebbero mai avere i nostri governanti a realizzare un simile piano, il succitato Jacques Attali ce lo ha spiegato chiaramente, per cui se non l'avete ancora fatto leggetevi le sue dichiarazioni. Insomma, cercate di fare tutto il possibile per spiegare alla gente che conoscete i retroscena di questa squallida operazione, bisogna cercare di resistere con ogni mezzo a questa campagna di vaccinazione. E fate vedere a tutti questo video, che racconta la triste storia di un ragazzo italiano ucciso dai vaccini somministrati durante il servizio militare. Tali vaccini conterrebero antimonio cobalto, piombo, e secondo quanto denuncia la madre di tale giovane vittima sarebbero la vera causa delle malattie degenerative che hanno ucciso tanti soldati italiani andati in missione all'estero. non c'è motivo di preoccuparsi per questa nuova influenza ma la pandemia può essere pericolosa ed occorre predisporre piani di vaccinazione di massa. Provate ad analizzare con distacco simili affermazioni e vi verrà da ridere ... tranne poi a farsi venire un attacco di rabbia per il fatto che con questi sporchi trucchi stanno cercando di indottrinare le masse per convincerle a sottoporsi a delle inoculazioni di vaccini a dir poco pericolosi. La stessa OMS ha messo le mani avanti affermando che "nella produzione di alcuni vaccini per la pandemia sono coinvolte nuove tecnologie che non sono state ancora valutate estensivamente per la loro sicurezza in certi gruppi della popolazione...".E adesso beccatevi questa notiziola fresca fresca che viene da una fonte attendibile (l'agenzia di stampa Associated Press) e che è stata riportata dal blog di Franz che segue con attenzione queste sporche manovre. Il segretario del Ministero della Salute americano, Kathleen Sebellius, ha firmato un accordo con cui le case farmaceutiche produttrici del vaccino contro l’influenza suina godranno della totale impunibilità per gli eventuali danni ed effetti collaterali derivanti dall’uso del vaccino stesso.E visto che ci siamo leggetevi pure questo articolo (sempre dal blog di Franz) sulle tecniche utilizzate per produrre questo vaccino, e se vi resta tempo potete leggere (in inglese però) questo articolo sulla questione delle vaccinazioni obbligatorie che l'OMS potrebbe fare partire. In alternativa potete guardare questo video (sottotitolato in Italiano) dell'intervista all'autrice di quell'articolo. E ovviamente non dimenticate di leggere questo articolo (in italiano questa volta) su come opporsi all'eventuale campagna di vaccinazione forzata. impunità... avete ancora dei dubbi sull'utilità del vaccino??? se questo è vero !!! è vero tutto !! Questi sono delle bestie , ma non tanto le case farmaceutiche ma soprattutto chi autorizza tutto ciò !!! Senza manco darne notizia !!! ma come ci si fa a fidare di questa gente . Siamo proprio dei pecoroni . Ci sono prove verificabili, chiare e non ambigue che l’OMS ha fornito alla sussidiaria della Baxter in Austria il virus vivo dell’influenza aviaria, che è stato usato dalla Baxter per produrre 72 chili di materiale vaccinico a febbraio. Poiché la Baxter deve rispettare i rigorosi regolamenti di biosicurezza livello 3 quando ha a che fare con un virus pericoloso come quello dell’influenza aviaria, la produzione, nonché la distribuzione di materiale di tale [potenziale] pandemico non possono essere state frutto di un errore, ma devono essere state fatte dalla Baxter con intento criminale. È sempre più chiaro che l’OMS e la Baxter sono solo elementi di un’organizzazione criminale molto più grande che sta andando avanti in modo coordinato e sincronizzato per realizzare l’ordine del giorno dell’ “elite” di riduzione demografica globale nei mesi e negli anni a venire, instaurando al contempo un governo globale di cui l’OMS sarà un braccio. - in primo luogo è l’OMS che dà i finanziamenti, il sostegno e la copertura ai laboratori come il CDC per la ricerca di patogeni, per bioingegnerizzarli al fine di renderli più letali, e anche per brevettarli. - In secondo luogo, l’OMS fornisce gli stessi patogeni bioingegnerizzati a società come la Baxter in Austria, in modo tale che la Baxter possa usare quei virus per contaminare deliberatamente e sistematicamente i materiali vaccinici. - In terzo luogo, nell’evento di una pandemia, l’OMS ordina la vaccinazione obbligatoria per tutti i 194 stati, a seguito di “raccomandazioni” di un gruppo di esperti sui vaccini, di cui fanno parte anche i dirigenti della Baxter. - In quarta istanza,l’OMS stipula contratti vantaggiosi con la Baxter, la Novartis, la Sanofi ed altre società per la fornitura di tali vaccini. Inoltre l’OMS acquisisce una nuova autorità globale su scala mai vista prima nell’evento di una pandemia. Secondo piani speciali in caso di pandemie approvati in tutto il mondo compresi gli USA, nel 2005, i governi nazionali dovranno essere sciolti in caso di emergenza pandemica per essere sostituiti da speciali comitati di crisi, che si facciano carico della salute e sicurezza dell’infrastruttura di ciascun paese, e che siano responsabili di fronte all’OMS e all’UE in Europa e all’OMS e all’ONU nel Nordamerica. Se verrà implementato il Model Emergency Health Powers Act dietro istruzioni dell’OMS, diventerà un reato per gli Americani di rifiutare la vaccinazione. La polizia può usare la forza mortale contro i “criminali” sospetti. Attraverso il controllo di questi speciali comitati di crisi da essere costituiti che avranno il potere di approvare le leggi, la maggior parte dei paesi, l’OMS, l’ONU e l’UE diverranno governi de facto di gran parte del mondo. Lo sterminio di massa e la morte porteranno anche al crollo economico e alla corruzione, alla fame e alle guerre – e questi eventi contribuiranno ad un’ulteriore riduzione demografica. In sostanza: l’OMS contribuisce a creare, distribuire e poi far diffondere il virus pandemico letale, e tale virus pandemico aiuta l’OMS a prendere il controllo dei governi nel Nordamerica e in Europa, oltre ad ordinare la vaccinazione obbligatoria sulla popolazione, proprio ad opera delle stesse società che hanno distribuito e rilasciato i virus in primis, tutto ciò con il pretesto di proteggere la popolazione da una pandemia che loro stesse hanno creato. I media principali che sono di proprietà della stessa “elite” che finanzia l’OMS nascondono sistematicamente al pubblico la natura del reale pericolo di queste iniezioni di H1N1, omettendo informazioni importanti sulle attività correlate di questo gruppo di organizzazioni per il loro reciproco profitto. Ne consegue che molte persone credono ancora che l’H1N1 sia il virus naturale dell’influenza suina, mentre persino l’OMS ha abbandonato ufficialmente il termine “suina”, una conferma tattica della sua origine artificiale. Le due dosi del vaccino H1N1 sono pensate per indebolire il sistema immunitario per poi sovraccaricarlo con un virus vivo, in un processo che rispecchia quello descritto in due memoranda del 1972 dell’OMS, dove vengono illustrati i mezzi tecnici per trasformare i vaccini in sostanze killer. Il “Strecker memorandum” rivela anche che l’OMS ha cercato attivamente dei modi per indebolire il sistema immunitario. La migliore protezione contro il virus H1N1 che è ora in circolazione e che è destinato a diventare più letale quando muterà in autunno, sono l’argento colloidale e anche le vitamine per rinforzare il sistema immunitario, poi le mascherine ed altre misure simili. Tuttavia, nessuno dei governi nel Nordamerica o in Europa ha fatto scorte di argento colloidale, né ha annunciato misure sanitarie sagge per circoscrivere l’ondata letale a venire. Al contrario, ci sono sempre più indicazioni che useranno il panico per terrorizzare la gente al fine di farla vaccinare con vaccini tossici, che certamente provocheranno lesioni o danni anche per la sola presenza di metalli pesanti. Questa vaccinazione di massa consentirà inoltre che emergano ceppi più letali e fornisce anche una copertura per la diffusione del virus dell’influenza aviaria o di altri patogeni. È per questo che è necessario prendere provvedimenti adesso per fermare le vaccinazioni di massa anticipate per l’autunno, seguendo le vie legali per bloccare la distribuzione di vaccini e/o le leggi che consentono ai governi di obbligare la gente a farsi vaccinare. Deve essere condotta un’indagine su questo sindacato criminale internazionale in ogni paese, perché ha i suoi tentacoli in tutti i paesi, e per cercare di iniziare questo negli USA ho presentato denuncia presso l’FBI contro l’OMS e l’ONU ed altri lo scorso giugno. Ho incluso il presidente Obama tra gli accusati perché credo che sia arrivato il momento di identificare ed isolare i membri al centro di questo gruppo criminale aziendale internazionale, che si è impossessato di alte cariche governative negli USA, e di metterli in carcere una volta per tutte, ed è stato riportato che Obama ha dei legami finanziari diretti con la Baxter che devono essere indagati dalle forze dell’ordine. È vitale per gli individui e per le autorità locali la necessità di prendere provvedimenti efficaci per proteggere [la popolazione] dalla prossima ondata letale del virus H1N1 al fine di minimizzarne l’impatto. Per saperne di più in merito alle denunce che ho finora presentato in tedesco e in inglese in Austria anche con l’FBI, visitate il sito web wakenews. ...fate scorta di ACI-Argento Colloidale Ionico e MMS.... perchè anche se si riesce a non farsi vaccinare.... "l'ambiente sarà MOLTO contaminato..."
Menomale che vaccineranno anche i medici ... per prima cosa !!! "Io non farò il vaccino e non lo farò fare ai miei figli; però non vorrò correre il rischio di eventuali problemi giudiziari sconsigliando i miei pazienti dal farlo". Anche questa, purtroppo, è la realtà. Oggi al TG hanno dato una notizia che se vera conferma che menzogne sono state sparse fin'ora. Hanno detto che i nati prima del 1960 non devono fare il vaccino perchè sono già stati in contatto col virus dell'influenza suina e dunque sono immunizzati... O non era sconosciuto?